The Question Formulation Technique (QFT) is a simple, systematic strategy that fosters student inquiry. 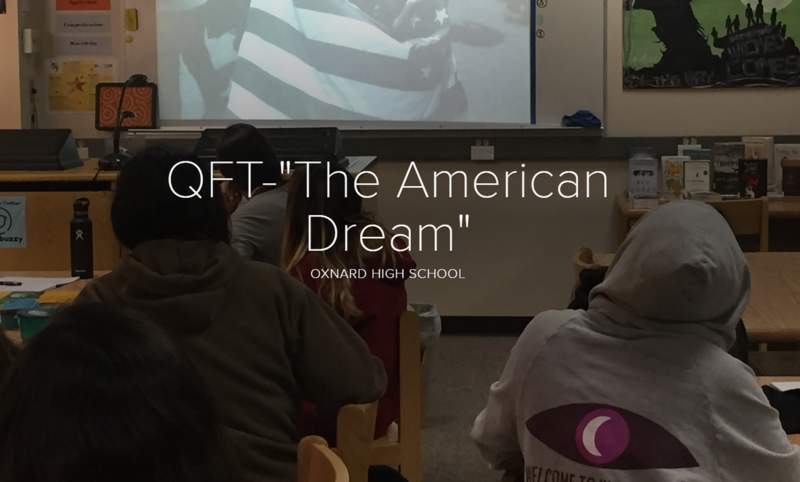 During a QFT, students engage in rigorous critical thinking skills including collaboration, analysis, synthesis, metacognition, self-assessment, and reflection. For more details and resources, join the Right Question Institute for free materials. QFT in Action from RightQuestion on Vimeo. I think it helps us build higher level questions. When we go over our questions and try to make them better, it helps us think. The questions help us dig deeper and go beyond basic facts; we develop questions that give us more than yes or no answers. When we share, we get to express our thoughts . It prepares us for the future and being in front of audience. I like how it works. I really have enjoyed choosing priority questions to help my students understand what is needed and more essential. Before doing the QFT, the students were lost when I asked them what kind of question they wanted to answer. 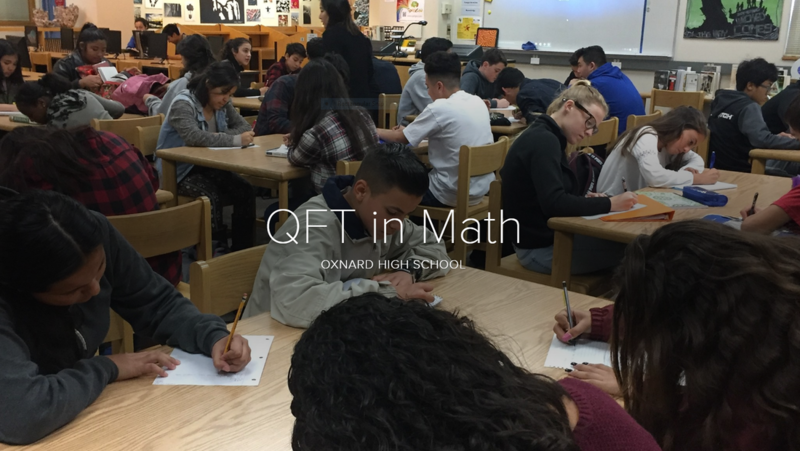 I've used the QFT in both my Engineering and Math 2 classes. In Engineering, we used the Q-Focus to build the essential question and unit check-in questions for our trebuchet unit. The students used their questions to drive their own research! We used the QFT a second time to create an essential question for their own research topic of choice. It really pushes you to elaborate your thinking. You find that your ideas can become stronger. One question can lead to multiple questions. Some questions you might find difficult to answer, but you also see that the answers may be more definitive. It brings you out of your shell and reduces anxiety. A deceptively simple set up: Let the students think about a topic before they dive in! Each time I have watched a class utilize a QFT, high level questioning, academic discussion, and empowerment result. Given the opportunity to think, and present those thoughts, without fear of judgement, students unfailingly rise to the challenge.